Coat: Dense, double coat with coarse wavy outer hairs and soft dense undercoat. The coat is slightly oily and thus waterproof. 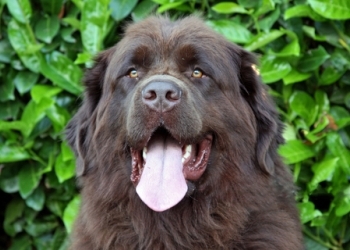 Is a the Newfoundland Right Dog Breed for You? Newfoundlands are truly gentle giants. They were originally bred to retrieve those in need from water and are well adapted to harsh climates and swimming. They have been bred for a sweet docile temperament and make good companions. They are protective and can be excellent guard dogs. They are good with children. Grooming needs are high and they shed all year-round. They are droolers. They require moderate daily exercise, but are generally quiet and content.